This is something I have been visiting for a couple of years now and finally took the plunge in March of this year. The Cake International cake competitions are the largest and most exciting in the world! Open for anyone – of any age and experience – to enter, this competition has launched baking careers and is truly the heart of Cake International. After filling out the form and then waiting a couple of weeks I plucked up courage and entered for the first time. Now all I had to do was think of a design. I researched over several websites who take photos of all the entries each year and re-read the rules over and over again and finally came up with my design. Although simple it had to be executed well and look neat and tidy so out came the tape measure and each strip was cut exactly. After about 300 hundred flowers of various sizes I then had to place them onto the cake with tweezers and pipe the centres – so far so good. 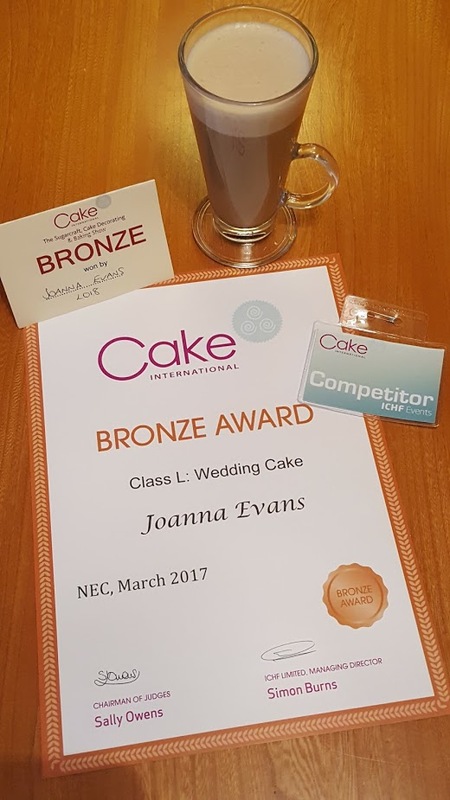 The competition was over 3 days with the cakes being delivered from 7am until 9am Friday morning so with my bags packed and my friend for moral support we took ourselves to the Premier Inn next to the NEC. The morning of the competition I was nervous – had I done the right design? Would I get it there on time? Would I even get a mark? My friend Jean was brilliant; after calming me down we delivered the cake and then went for breakfast. 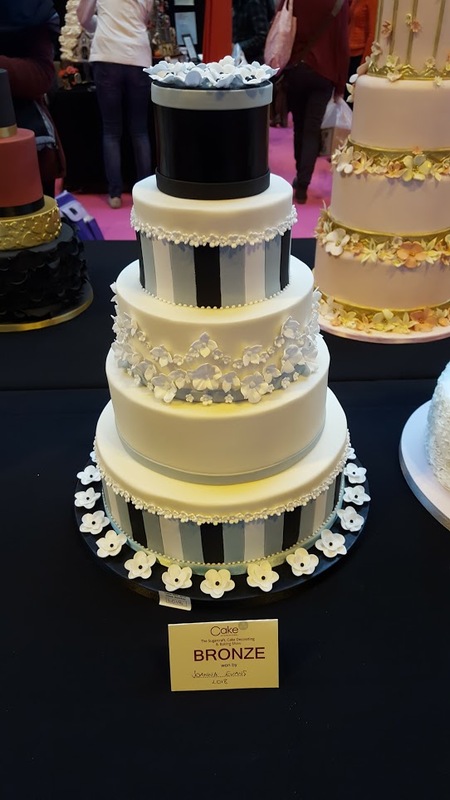 We spent the day at Cake International looking at all the stalls with new products, attending demonstrations and generally being in cake heaven! 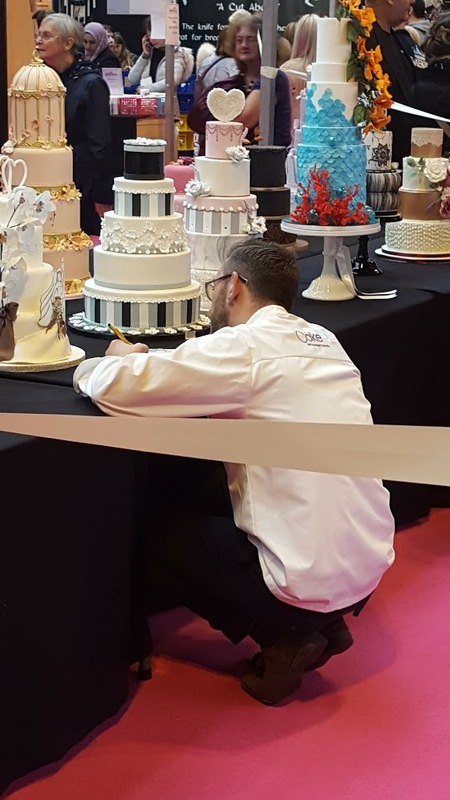 I did sneak a peek when the judges started marking and was really excited to see Ben Fullard of Ben the Cake Man judge my cake. He has been a really inspiration so you could say that was the cherry on the icing! After collecting the cake on Sunday I was still on a high whilst sitting down with my latte looking forward to entering next year.